Spring is finally here! 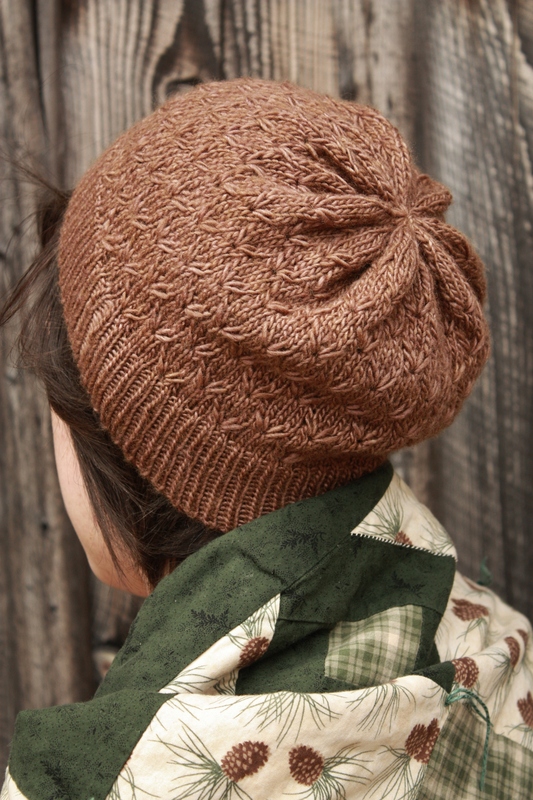 As my contribution to the Malabrigo Quickies program, I’ve published Sweet William. 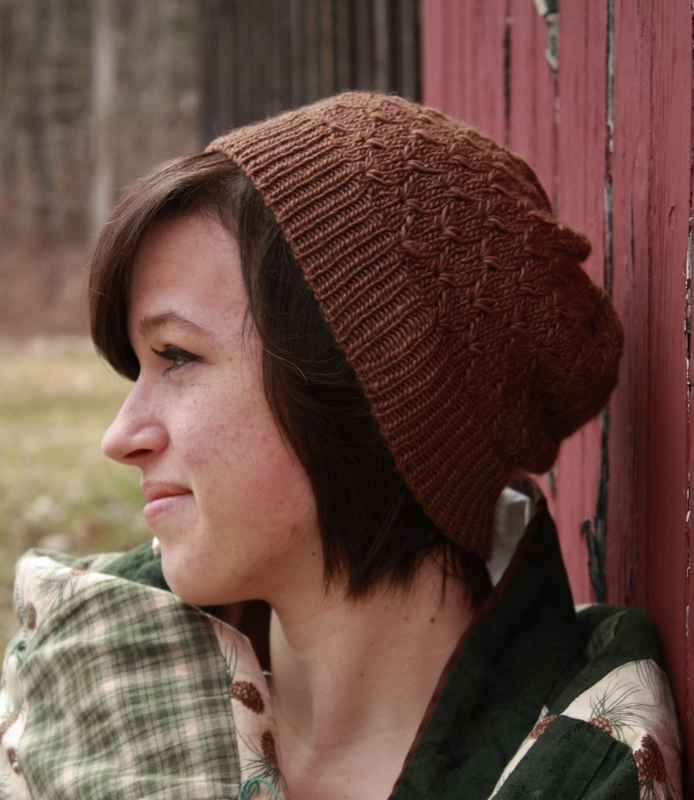 It’s a quick, lightweight hat with great drape and fun detail. There’s a clean french gather at the back of the crown, and the Anglaise slipped stitch pattern is reminiscent of those early buds that shoot forth from the maple tree. On to the inspiration! I was inspired by a very wonderful family, the Symonds. 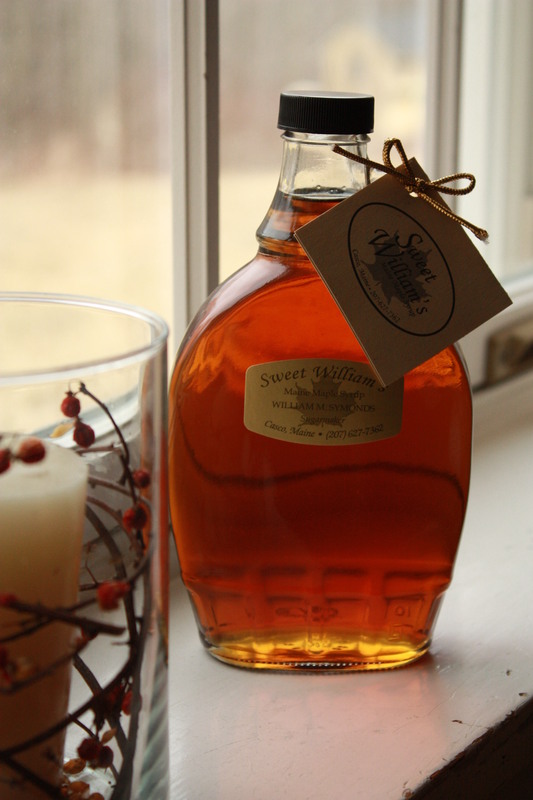 They run Sweet William’s Maple Sugar Farm in Casco, Maine. 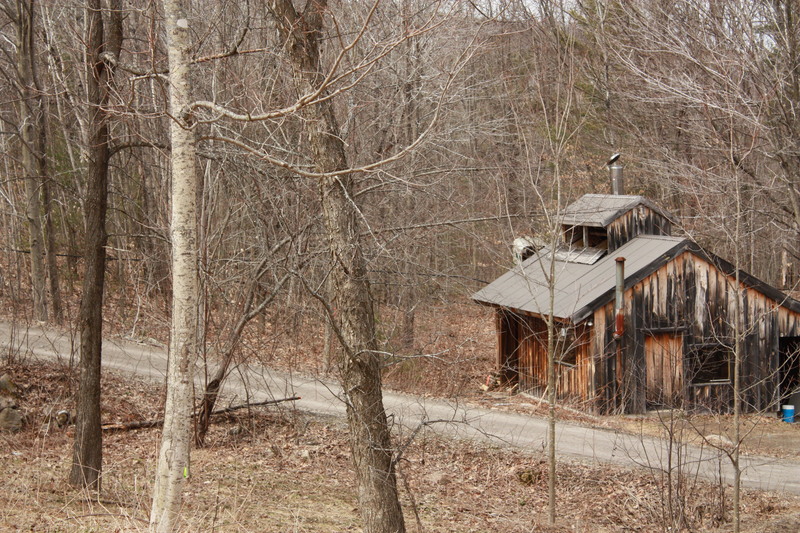 They host field trips for local schools and have an open “Maple Sugar Sunday” where the public is invited to come taste the syrup, learn how it’s made, and have a lot of fun! Emily Symonds was kind enough to model the hat for me. 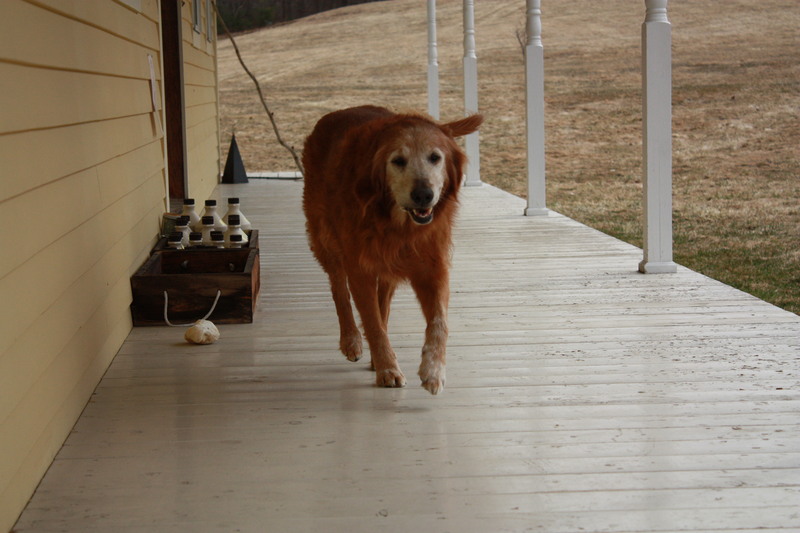 Upon arriving, I was greeted by their sweet, sweet dog. Around here, life is based on the trust system, and they have a beautiful old wooden box of Maple Syrup just waiting to be bought by local friends. There’s a little jar you can slip the money into. Emily is absolutely gorgeous, and where better to photograph her than at home? Just leave me a comment with your favorite thing to put maple syrup on, and you’ll be entered to win! Posted by Alicia & filed under Giveaways. This post has 153 comments. Pancakes – without a doubt – served with real homemade butter and warmed maple syrup. Thanks for sharing this flavor memory with us today. Freshly made waffles with strawberries (Maine ones, in season, of course), freshly made whipped cream and sweet cream butter. Truly decadent! Here in Belgium we don’t have any maple syrup. But I would love to try it out on our pancakes (more like crêpes). Oh, and lovely hat, by the way. Very cute hat! Blueberry pancakes of course. And as for maple syrup, how can I choose one thing? I love it in iced coffee, on my steel-cut oats, as a sweetener for homemade granola, and on candied on my veggie sausage patties. I WANT that syrup!! I have the BEST buttermilk pancake recipe EVER to put it on. What a lovely give away! I love to put maple syrup on salty ham. Sweet and savory, nom nom! I love to put maple syrup (and pine nuts & milk) on my steel cut oats. I love to put maple syrup on the buttermilk pancakes my husband makes from scratch every weekend 🙂 I also like to dip my bacon in the syrup! All the breakfast food! And some maple muffins.And baked ham, And well, really, isn’t everything better with maple? Yum! And another beautiful pattern! I love maple syrup on my porridge! I do not live anymore in the States, am I entitled to participate? Thank you for the giveaway in any case. I love a touch of maple syrup on the special french toast made by my husband! Oohh! Maple syrup on French toast made with Portuguese Sweet Bread. Married to a Quebec native, there’s no ‘fake’ syrup in our house. Mmmm Spring! My family puts maple syrup on all kinds of strange foods. I’m a purist and love it on pancakes. 🙂 I guess you won’t want to post to Australia, Alicia, but I thought I’d leave a comment and say how much I love this hat pattern. Gorgeous. Nothing better than the silken goodness of maple syrup on chicken and waffles, a southern tradition! The sweetness of the maple syrup as a contrast against the crispiness of the fried chicken can’t be beat…I can taste it now! I love to use maple syrup when I bake as a sweetener! My new favorite recipe is an oatmeal chocolate chip bar that calls for maple syrup. I like to put maple syrup on French toast. Love the hat! I love maple syrup in my caramel corn. And on bacon. And waffles. 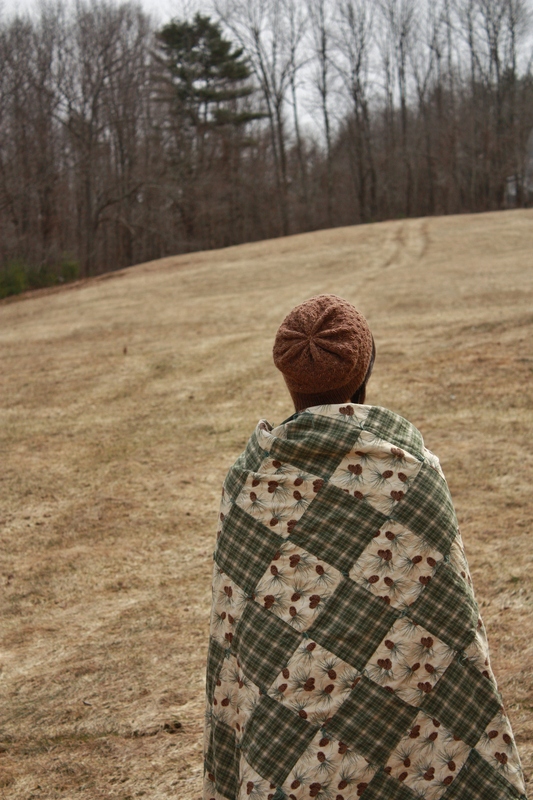 You made some lovely photos to share this great pattern, pretty girl, and beautiful land. Sap is running… must mean it’s spring! On my French toast. I love your pattern! I love maple syrup on lots of things, but especially french toast! Yum!! Love maple syrup on french toast that my husband makes! Hello there twolittleplums, Your maple syrup goes best with homemade buttermilk pancakes . This is a truly beautiful pattern! I love maple syrup on pancakes (of course!) and a little in my oatmeal. Sunday morning at our house means pikelets for breakfast. And has done for years since our children were wee. They are both now teenagesrs and still ask their dad to make them. Bananas and maple syrup has been the topping for as long as they have been eating them! A swirl also goes very nicely on top of a bowl of porridge. Maple syrup on vanilla ice cream is my favorite! Brings back memories of my childhood! In college I helped tap maple trees to make syrup, and it was super good on vanilla ice cream. Oh, my brother would LOVE this. He (and my father, really) have been wanting to try homemade (I guess you’d say? :)) maple syrup for eons now.. I personally am not a huge fan of it, but they will eat it on anything; my brothers especially like to get up early and make pancakes for us all in the morning. I’d say their favorite thing to eat it on are these positively giant pancakes they like to make — called “celebration pancakes,” they cover the entire bottom of the frying pan. Lovely pattern (as usual)! I love maple syrup, and really just can’t go wrong with it on pumpkin pancakes! Maple syrup on my french toast! Yummy! I love the hat and thank you for this wonderful giveaway. Hi! I tried posting my “favorite maple syrup recipe” here this morning, must have been caught in the spam filter: I love having steel cut oats with milt, maple syrup and pine nuts for breakfast. Helps me jump-start my day! And what a lovely pattern. I like maple syrup on oatmeal, pancakes, blintz filled with sweet potatoes and ricotta cheese, and many other things. I will not use corn syrup on my pancakes. I actually love to put real maple syrup on fried dough with butter 🙂 It is SO yummy!!! Maple syrup on my waffles of course. 🙂 Gorgeous hat! 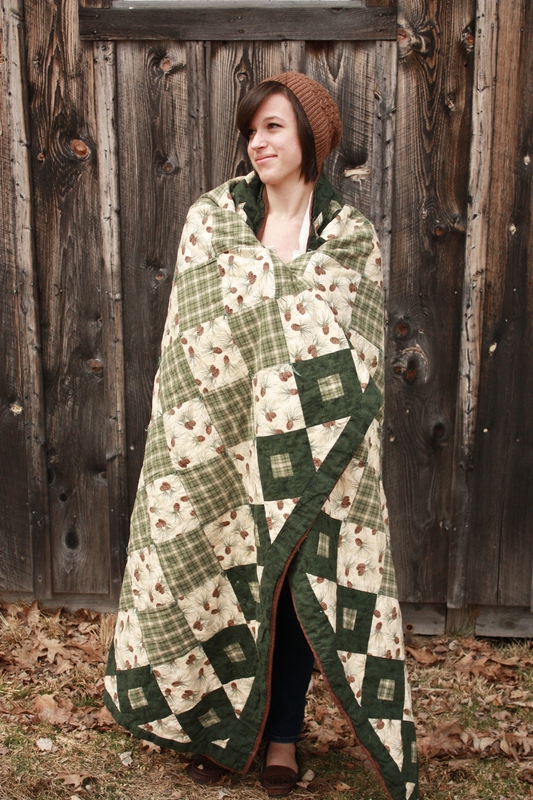 OMG – I need this pattern, but more importantly that syrup!!! I love real, small batch maple syrup. YUM! My favorite thing to put syrup on is my greek yogurt. Sometimes I use honey, but a real maple syrup with that little bit of toasted marshmallow flavor is my favorite. My kids stick to pancakes and french toast, though. Or…turkey sausage (my daughter). Darling hat! When my kids were home and I made bread I would let them each have a piece of dough to play then they flattened and we put in skillet with a little butter to cook. It was served with maple syrup . Needless to say I had helpers for all my break making. I love it on pancakes and waffles! yummmmmmmmo! I love pancakes with peanut butter and maple syrup! Yum! Love this hat pattern! I literally said ‘Ooooooh’ when I saw it 😉 My favorite thing to put maple syrup on is my Pumpkin Spice Nutty Pancakes. With a tiny sprinkle of cinnamon… NOM! Blueberry pancakes! I also love using maple syrup in place of white sugar. It is wonderful in homemade granola. I love all of your patterns, and this hat is lovely!! I love syrup on made from scratch pancakes. My dad used to make them really tall by separating the eggs whites from the yolks and beat them stiff, then fold them in the batter. Soooo good!! I use it a lot but love it best on buttery polenta with toasted pine nuts mixed in. What a lovely pattern and so nice to find your site. I love syrup on buttered toast with a side of sausage links. It’s a great way to use up stale bread on lazy weekends when I don’t want to make ‘real’ pancakes. That pattern is beautiful, as is the model! I love maple syrup on quite a few things. Especially ham! Oh Alicia, that’s a great little story, it made me really happy reading it 🙂 And what a great hat pattern! I love to drizzle maple syrup on cubes of butternut squash before roasting. Love the yarn and pattern! I love maple syrup on french toast! I used to live in Québec (which produces 80% of the world’s maple products) and we would boil it down just a bit; it makes delicious candy! However, like everyone else, I just put it on pancakes. Lovely pattern and thanks for the giveaway! Definitely pancakes or waffles–I’m a purist. Also in the occasional cake or frosting! Pancakes and waffles definitely! Thank you for the giveaway. I love maple syrup on pretty much everything! Hard to pick a favourite but it would have to be on breakfast sausages.. And waffles (with strawberries and whipped cream of course!). Love the hat btw, added my to ravelry queue! Pancakes and waffles, of course! Although I’ve been playing with flavored butters lately, so I might mix a few drops into some butter for biscuits. Thanks for the chance! I love the pattern! It’s beautiful and subtle. I’m also a big fan of maple syrup and I’m getting hungry just thinking about it. My favorite thing to add it to is vanilla soy yogurt. Well – I like to mix a bit of mustard and cinnamon in about a quarter cup of maple syrup to make a glaze for roast chicken. Sounds a bit strange, but it’s really good and has become a family favorite! Very pretty hat pattern. Thanks for a nice give away. Cinnamon pancakes with some bacon on the side! Gorgeous pattern. What a gorgeous pattern. I love maple syrup on dutch babies (puffed oven pancakes). I like maple syrup on bacon and sausage and in vinaigrettes for salad. Yum! I love maple syrup on waffles! Beautiful pattern, and thank you so much for the giveaway! Blueberry pancakes! And I LOVE your pattern—beautiful. Thank you for the chance to win! I love to syrup on my french toast. I just love the hat and the pictures are beautiful. I’d love to get my hands on that yarn! I have never used it before. My favorite thing to put maple syrup is Pancakes of course! delicious! My homemade whole wheat pancakes. When my young grandson (and his Mom) lived with us, I would make a big batch and freeze them (the ones we didn’t eat right away). I could pop them in the microwave a few at a time for a quick, healthy, delicious breakfast on a school morning. Hubby has family on the east coast. I love maple syrup candy the best but I will pour the syrup on almost anything. Its great to bake with too. I love this pattern! My favorite thing to put maple syrup on is buttered cornbread 😉 Thanks for the chance to win. My favorite thing for maple syrup is on bread. So good! And this pattern is beautiful. Love the hat! And love maple syrup on my french toast, as well as on my berries and yogurt–yum. I love syrup on baked sweet potatoes. Oh my goodness, I love maple syrup on so many things! One of my non-breakfasty favorites is a marinade that I make for either salmon or chicken. It makes people that don’t like fish LOVE my maple salmon! This sweet goodness needs to be paired with the southern tradition of chicken and waffles! The silkiness of the syrup contrasts with the crunchiness of the fried chicken…such a wonderful combination. I can taste it now! My favorite dessert is baked apples drizzled with butter and drenched in maple syrup. It just tastes like spring! Pancakes! I’ve never tried real maple syrup before! Awesome hat! Love the stitch pattern. Maple syrup on blueberry pancakes,of course, and also mixed in plain yogurt. Oooo, and also mixed with cream cheese to make the best icing for cupcakes or anything really. Yummy! I know it sounds like sugar overload, but I love maple syrup on top of apple crumb pies. what a lovely hat! I love the stitch pattern. Maple syrup is good on so many things it’s hard to choose, but I would have to say my favorite is fresh waffles with peanut butter and maple syrup! It was my favorite breakfast as a kid. I use Maple Syrup in the best pumpkin cupcake recipe I have makes them super yummy. I love maple syrup, but my favorite thing to put it on is classic waffles! I love maple syrup on baked Acorn Squash. I Love the hat and that maple syrup looks so delicious! I like to dip waffles or pancakes in maple syrup. Warm maple syrup on vanilla ice cream is divine! I love, love, love your hat pattern! I love the new hat pattern! I also love to put maple syrup on a nice thick piece of bacon… nom! I do love it on french toast (not really a pancake person), or also on vanilla ice cream! What don’t I live maple syrup on?? The hat pattern is lovely, I will be adding it to my queue for sure. On crepes with bananas. These pictures have made me crave it now so I am going to go make myself a toaster waffle with maple syrup right now. 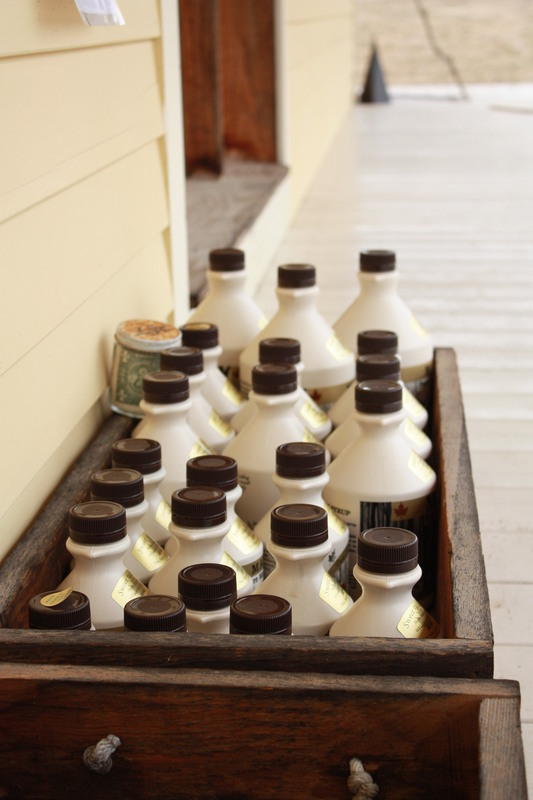 so many things I like maple syrup on – but if I had to pick only one thing……. I love french toast with maple syrup. and if fresh figs are in season — cut up figs sauted in a little butter then add maple syrup to the pan to top the french toast. yum….. I offer you freshly made spoonbread (a raised, almost souffle-like version of cornbread) …. still warm from the oven with cool maple syrup. My mom used to serve us this when we were youngsters. Absolutely the best ever! I already wanted to make the mitts with the same pattern. I love the hat! As for the maple syrup…yummmmm maple syrup…I love “made from scratch” pancakes (or waffles) smothered in maple syrup, and a side of bacon or sausage links to “dip” in the remainder of the syrup. Thanks for a fabulous giveaway (I must go eat something now)!!! Nice giveaway 🙂 Mmmm maple syrup on pancakes or french toast! My husband makes the best pancakes and I love to put real Maple syrup on them – yum! The hat pattern is so cute, I can think of a lot of family members that would like it!! Um, bacon. Is that wrong? I love it with bacon and a hint of orange 🙂 Love the hat! Being in Canada, maple syrup is a staple. I love it most on French Toast, but also love it in lemonade. My husband using it as “sugar” in his coffee every morning. The hat is beautiful. Looking forward to making it soon. Lovely hat! I make a maple syrup glaze for baked ham. Mix about 1/3 cup syrup with 3 Tbsp Dijon mustard. Easy. My favourite thing to put maple syrup on is French toast. Lovely hat and wondrous photo shoot, so much ambience! My compliments. I love maple syrup stirred into plain whole yogurt OR dribbled onto pieces of the butter-fried polenta at our local, most amazing breakfastery Morning Glory. This syrup would be divine on my favorite recipe of sour cream pancakes. Gorgeous hat pattern and yarn! Thanks for an awesome giveaway. Since our boys, 4 & 6, came to us a year ago, we make traditions to continue as we bond. Maple syrup over pancakes on Pancake Day…aka Saturdays fits the bill. and this color of your hat is exactly syrup. thanks! Yum…maple syrup….I love it on my oatmeal, I love it, possibly even more, on waffles (with sliced fruit and homemade whipped cream! )….ooh and I love when my breakfast sausage is on the same plate with pancakes or something and the pure maple syrupy goodness can be enjoyed with every bite of everything on the plate. Delicious. Thanks for the great giveaway opportunity! My favourite is on french toast with bacon. Mmmmm…… Least favourite is if it gets anywhere near my yarn! To my son, Maple syrup is so much more than a condiment. It is a part of every meal. Pancakes, french toast, waffles- of course! but he likes to dip bananas in it. Sweet potatoes too. He’s quite creative. I like to make bourbon-maple syrup baked sweet potatoes…mmmm. LOVE the hat! thanks for the chance to win! Cute hat pattern and would love to put the maple syrup on Julia Child’s “from scratch” pancakes! My husband and daughter make homemade waffles for us every weekend….maple syrup is so delicious! Love the hat, too. We love maple syrup!! Especially when camping and grandkids make pancakes and fried eggs .. They drizzle lotz of maple syrup over. I love maple syrup, love, love , love it. Especially on fresh warm pumpkin pie, homemade vanilla ice cream, and of course on waffle and pancake. I also like using it as a sweetner in place of sugar, hone, or agave. It has such a delicious rich flavor!